Your financial support of Great Cloud Refuge is deeply appreciated. Our initial funding goal of $750,000 was met through generous offerings, and will fund approximately 85% of the cost of the project. With these funds and the potential of additional contributions and member and/or bank loans, we are moving forward with building of Great Cloud Refuge. Additional donations to build Great Cloud will help pay for the increased cost of fire safety expenses, handicap access for our dining room and kitchen, and other unexpected costs that we become aware of in the process of building. It will also help us avoid or reduce the amount of debt that we might need to incur to complete our project. What greater gift can we give to ourselves, the world, and generations to come than the Dharma, with its capacity to transform suffering at the base and bring true happiness into the world! We welcome all support for helping to create Great Cloud Refuge. Please click here to explore ways to offer support and help us "Close the Gap." We are happy to report the current progress on our community’s endeavor to build Great Cloud refuge. 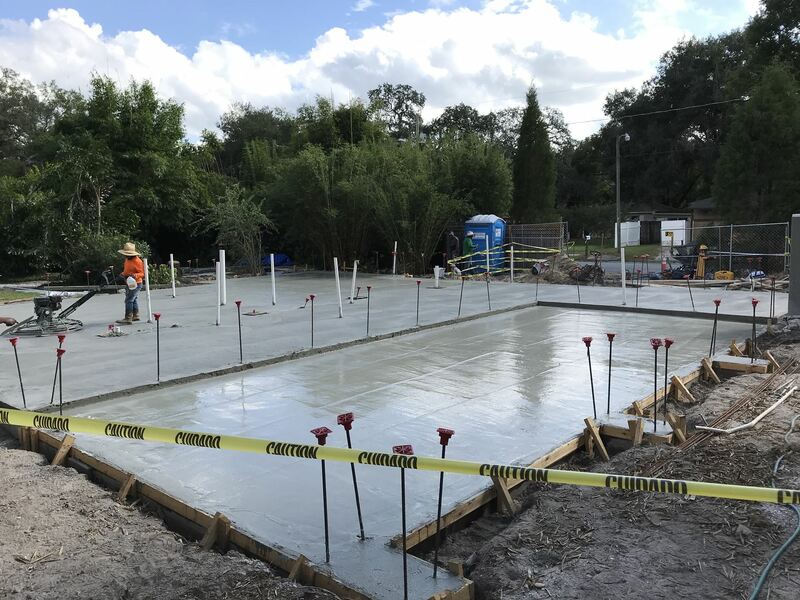 The foundation has been poured and we expect to see walls begin to rise this week! The expected completion date is June 1, 2019. We are grateful to have strong project leadership, flexibility in operations, and support of the community as we patiently move forward to make Great Cloud Refuge a reality. We will continue to keep you informed of our progress. 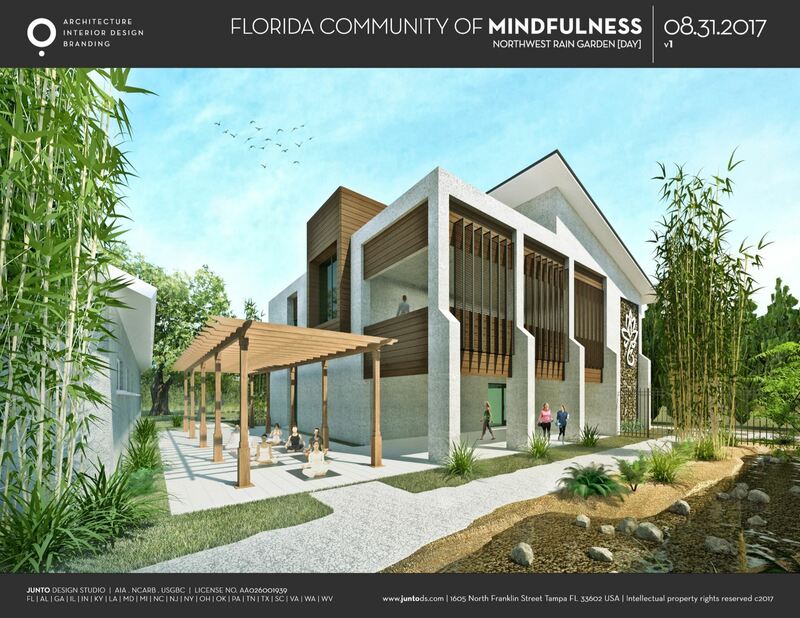 When complete, the new Great Cloud Refuge building on our Tampa Center Campus will include: 4,000 square feet for sleeping rooms to house 24-42 people, additional spaces for individual meditation, and flexible gathering spots for meditation or small group meetings. 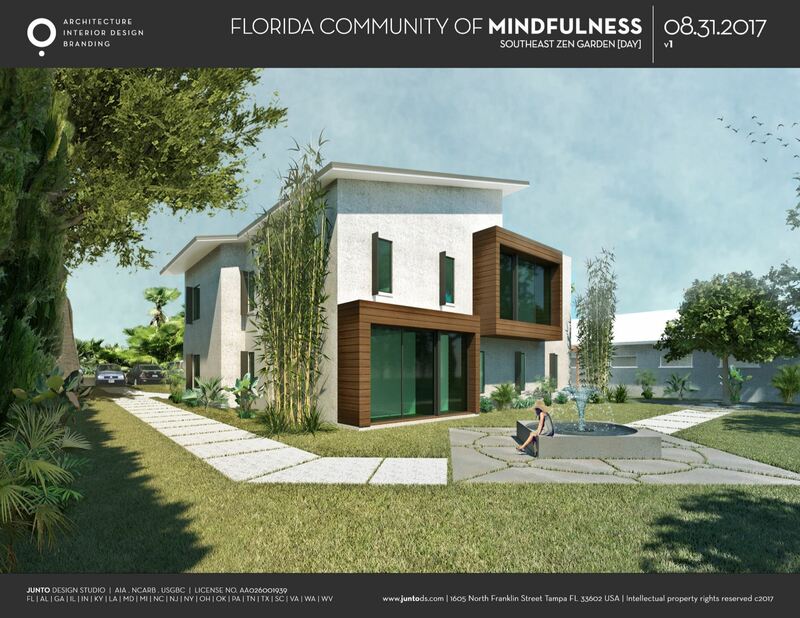 (Please click below to see the attached beautiful architectural renderings for four views of the completed building and landscaping). Please click here to hear our teacher Fred speak about his vision for retreats at the Practice Center and here for a Q&A with Fred. A wide range of mindful living weekend course offerings, e.g. 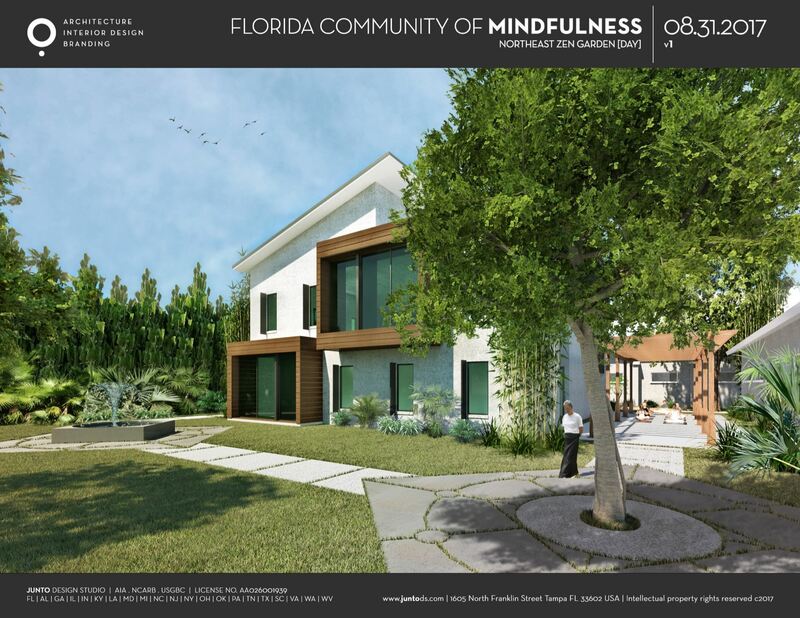 transforming relationships, working with emotions, mindful parenting, mindful leadership, etc., that would appeal to both Buddhist practitioners and the general public, and would contribute to the happiness and well-being of our broader Florida community. …and other purposes yet to be envisioned. Informed by the advice of architects, construction experts, and experienced retreat facility managers, we have undertaken a thorough process of assessing how the space can be used to maximum advantage, serving the sangha’s needs for years to come. 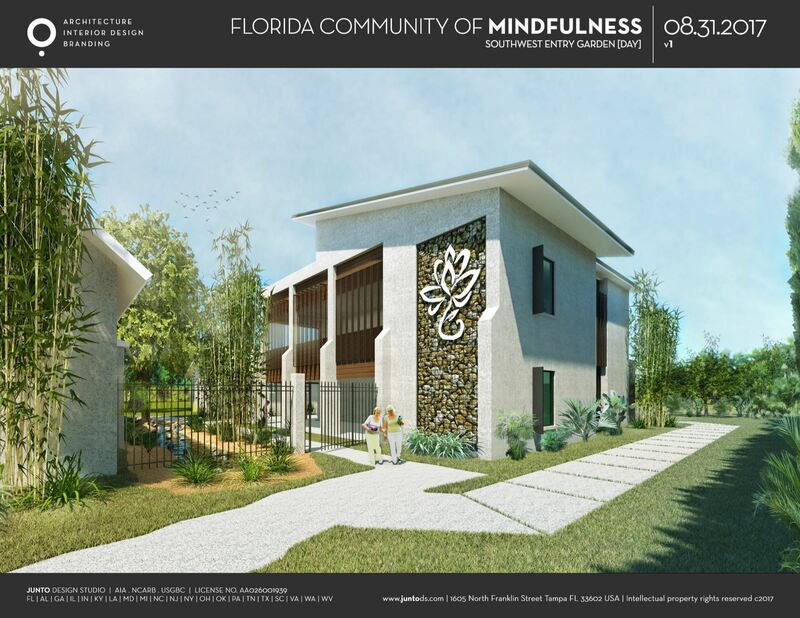 The result is a lovely 4,000 square foot space that will support our retreat aspirations and both blend with and enhance our current Practice Center campus. We hope to begin offering retreats at Great Cloud in the first quarter of 2019.